Franz Kafka’s nightmarish novella Metamorphosis, Icelandic soundscapers Sigur Rós, the Boston Ballet performs Sleeping Beauty, and more. 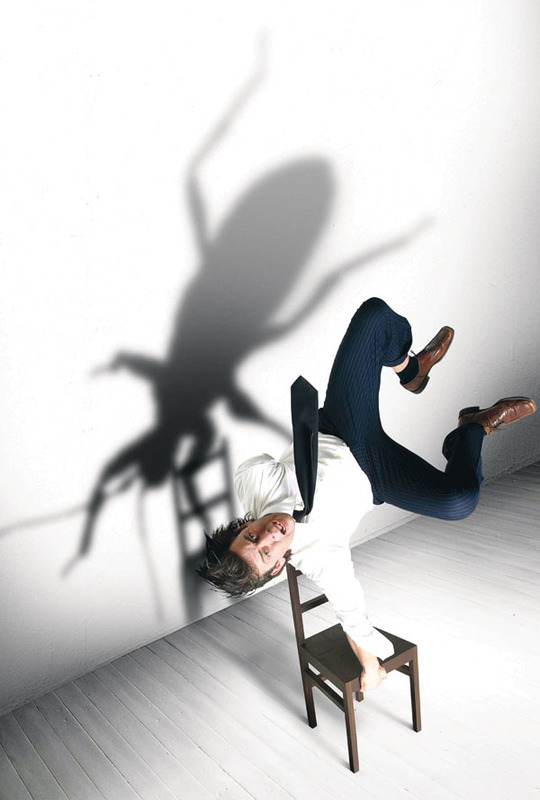 By Matthew Reed Baker·	 2/26/2013, 5:00 a.m.
ArtsEmerson’s Paramount Center welcomes a new staging of Franz Kafka’s nightmarish novella Metamorphosis, in which Gregor Samsa wakes up as a big bug. The show features aerial work, black humor, and music cowritten by Nick Cave. Had your fill of the Dropkick Murphys’ rowdy St. Paddy’s shows? Try glitzier staples for getting yer Oirish on: Michael Flatley’s Lord of the Dance lights up both Lowell’s Memorial Auditorium and Worcester’s Hanover Theatre, while Celtic Woman brings tears to the eyes at the Wang. For those who worship alt-rock drenched in oceanic sound and daubed with hallucinogenic light shows, two icons are coming to town: Baltimore’s Animal Collective, at the House of Blues, and Icelandic soundscapers Sigur Rós, at BU’s Agganis Arena. The Flamenco Festival returns for the 12th straight year, this time highlighted by the Ballet Flamenco de Andalucía. Prepare to be awed as these costumed Spanish dancers stomp and soar at the Cutler Majestic. Clearly writers run in the family: The brother of the bestselling memoirist Augusten Burroughs, John Elder Robison, releases his third book this month. In Raising Cubby, he details what it’s like to be a fortysomething guy with Asperger’s raising a son whose chemistry experiments threaten to tip into criminality. For 10 years, a big barn in upstate New York has been home to the One Minute Film Festival, which features works that are, yep, one minute long. This year, Mass MoCA celebrates the event by screening 600 films from the past decade. Go ahead, name a flutist, any flutist. Odds are, you’ll name classical virtuoso James Galway, who has done more than most to bring his woodwind instrument to the masses. He’ll be performing a slate of Mozart, Bizet, and Debussy this month at Symphony Hall. The Boston Ballet gets contemporary with a showcase of three sleek dances by Czech choreographer Jirí Kylián, and then gets classic with a sumptuous Sleeping Beauty.